Memorizing Bible verses is an excellent way to grow with your children. The psalms speak of hiding God’s word in our heart - memorization has a crazy effect on our heart and mind. And for kids, it’s so easy for them to remember and think about the words. 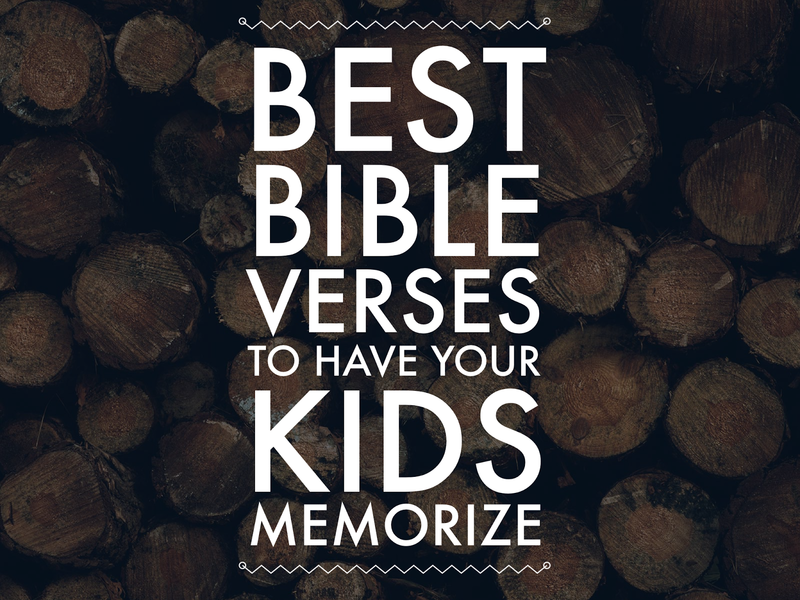 If you have kids between ages 2 and 12, here is a great starter list of verses to memorize with them. Ephesians 4:32 (ESV) Be kind to one another. Luke 6:31 (NIV) Do to others as you would have them do to you. Psalm 119:105 (ESV) Your word is a lamp to my feet and a light to my path. Colossians 3:2 (NIV) Set your minds on things above, not on earthly things. Matthew 22:39 (NIV) Love your neighbor as yourself. Romans 3:23 (NIV) All have sinned and fall short of the glory of God. Psalm 139:14 (ESV) I praise you, for I am fearfully and wonderfully made. Wonderful are your works; my soul knows it very well. 1 John 4:7–8 (ESV) Beloved, let us love one another, for love is from God, and whoever loves has been born of God and knows God. Anyone who does not love does not know God, because God is love. Deuteronomy 6:5 (NIV) Love the LORD your God with all your heart and with all your soul and with all your strength. Isaiah 41:10 (NIV) So do not fear, for I am with you; do not be dismayed, for I am your God. Keep these words in front of yourself and your family. In the Old Testament days, the Israelites wrote verses on their door posts and gates. Try writing these on the bathroom mirror with dry erase markers, or making a simple plaque to leave on the dinner table.